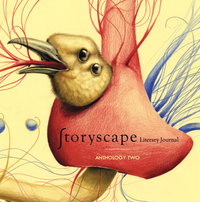 With contributions from a dynamic group of writers featured in our online journal, Storyscape Anthology Two collects work from Issues 7–13. Featuring the following contributors, with cover art by Alessandro Sicioldr. FREE SHIPPING IN THE U.S. Will be available to ship after April 12th.